I’m a sucker for nostalgia. My dad used to hang barn paintings by a local artist in his doctor’s office; now I hang some of those very paintings over the mantle in my house. I have a few (… or five) 4-Runner Matchbox cars on my desk at work in remembrance of the SUV I should have never sold. The kitchen counter my grandfather made out of recycled maple pallet wood 40 years ago for our 100 year old farmhouse is currently in my garage, ready to be repurposed as a counter down in my workshop (if I can maneuver it through the house in one piece). I could go on for some time, as you might be able to imagine. 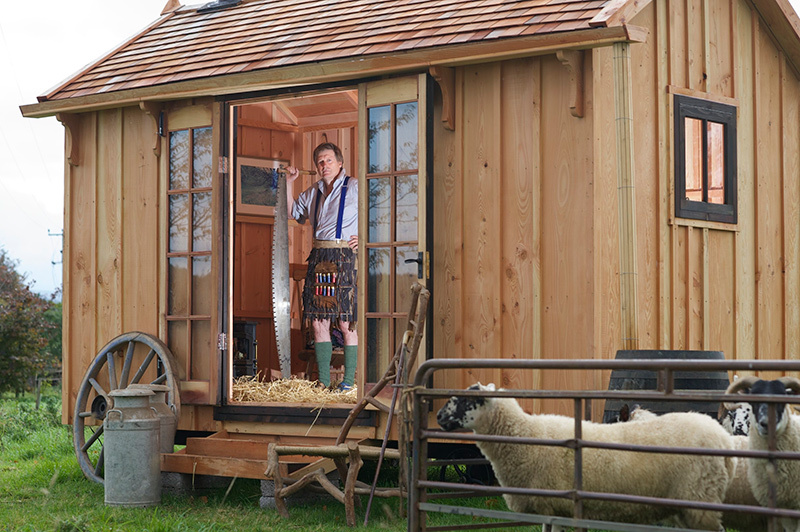 So when Charlie Laidlaw sent me a link to an article about the Chippendale International School of Furniture bringing the idea of the shepherd’s hut back to life (New Lease Of Life For Historic Shepherd’s Hut – you should absolutely read the article; it’s very well written), I was immediately drawn to it. He wears kilts made out of wood! I think someone just upped the ante on me. I’m afraid I’ll probably have to fold for this hand, Anselm; I have way too much on my plate at the moment. But maybe sometime down the road I’ll go all in and we’ll see how well the Campbell tartan translates into wood. I will also be flagging the Chippendale School for later reference. They offer a class called the Chippendale Experience Course, which is a week-long furniture making class. 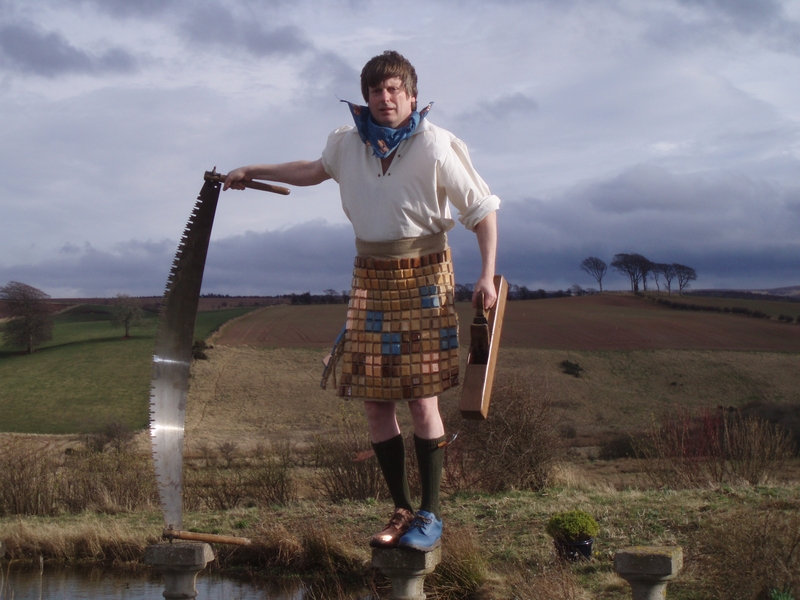 Let’s see… spending a week in a Scottish school set in the farmlands of East Lothian, learning how to make things out of wood from a man in a wooden kilt? That sounds about right up my alley. ← Monsieur Pot de Vis, What Have You Done For Me?